The board provides a two channel CAN-Bus thermocouple K-type interface. It can read a temperature from -270 to +1250 oC depending on probe used. The CAN message ID can be configured through on-board DIP switches and the sample rate can be configured to support a 0.5 or 1 second interval. 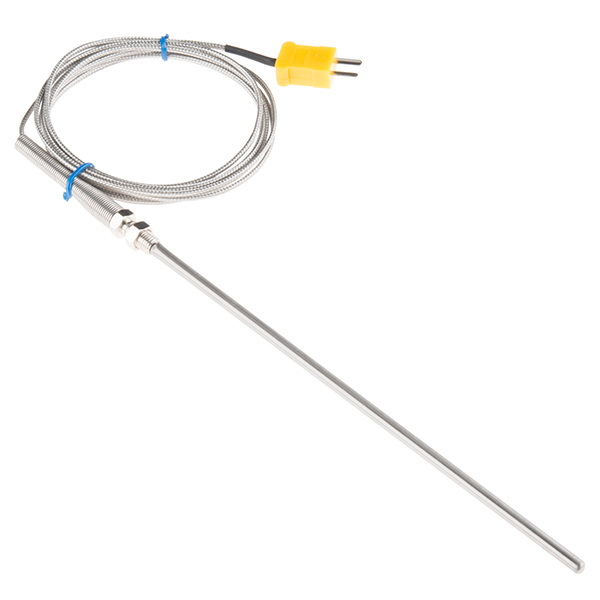 We offer an optional stainless steel, Type-K Thermocouple probe. A thermocouple works by taking two wires made of dissimilar metals, connecting them at the two ends, and making a temperature gradient between one end and the other (a ‘hot’ end and a ‘cold’ one). Once this is achieved, a voltage potential is formed and current flows. One junction is held in the environment where the temperature of interest exists, this is known as the hot junction. The other junction, referred to as the cold junction, can typically be found in ICs that specialize in reading the temperatures detected by the thermocouple probe. This common Type-K Thermocouple is made out of chromel and alumel, while offering a temperature high of 400°C and a low of 0°C. The probe itself is only 200mm (7.8in) long with a diameter of 5mm (~0.2in) and is terminated with a standard thermocouple connector. Note: This Type-K Thermocouple probe is not intended to be used for food. 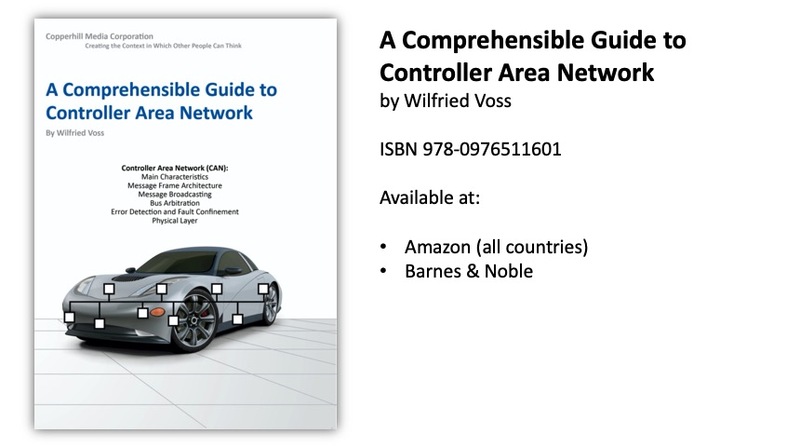 A Comprehensible Guide to Controller Area Network by Wilfried Voss represents the most thoroughly researched and most complete work on CAN available in the marketplace. Controller Area Network (CAN) is a serial network technology that was originally designed for the automotive industry, especially for European cars, but has also become a popular bus in industrial automation as well as other applications. The CAN bus is primarily used in embedded systems, and as its name implies, is a network technology that provides fast communication among microcontrollers up to real-time requirements, eliminating the need for the much more expensive and complex technology of a Dual-Ported RAM. Click the button below to add the 2 Channel CAN-Bus Thermocouple Interface K-Type to your wish list.